Website builders are great If you need to set up a site fast when you don’t have one, and if you have a limited budget to do it. So if you’re a do-it-yourself person or have a staff member who is, this may be the way to go. These services are way smoother and have far more options than when I looked at several a few years ago and produce really aesthetic sites that are mobile friendly and able to be managed. 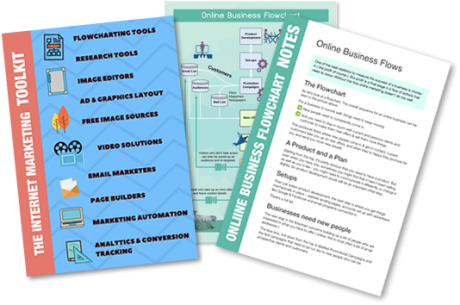 Being online shows that you’re professional and legitimate – much like an online business card. if you’re seriously going to market your business online to increase income, you’ll soon find that they make it harder. As I mention periodically in things I write, I’m in favour of doing things the easiest and fastest way. I few business I know have re-done their websites on WiX and Squarespace recently, so I decided it was time to compare tradeoffs again. 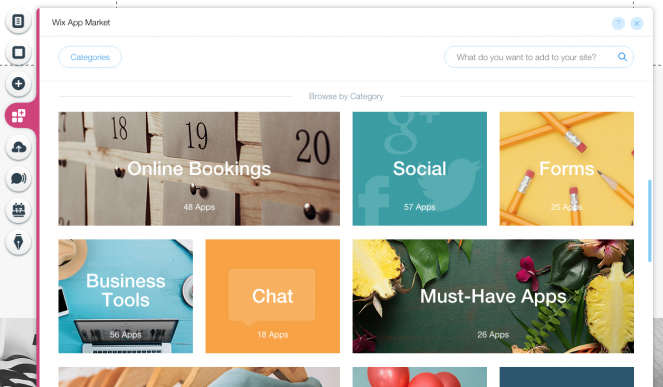 WiX makes it very easy to have all the main things an online business is used to seeing – a shop, email marketing with WIX ShoutOuts and a blog all in the one place after you log in. 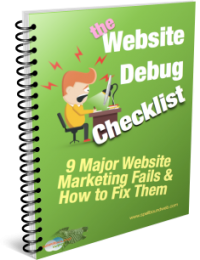 They also provide a couple of ways to pull your website together – a system they call artificial design intelligence (ADI) and an Advanced editor. A big tradeoff when I compare WiX to WordPress ( which I consider the best solution available at present ) is the small editor window to the side. It’s hard to use and slow to apply changes. Similar to all CMSes ( content management systems ) and builders you need to publish the changes you make before you can see them live. I consistently had the Wait for it message for about 30 seconds every time I published a change. 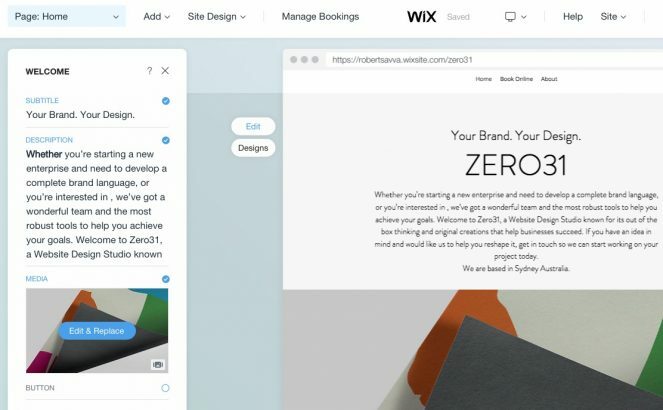 But there are prompts and guides that run you through the learning curves and also give you ideas for what’s available – WiX has lots of good apps in the WiX App market & lot are free – form builders, chat and messengers, blog, customer review widgets, bookings and maps. 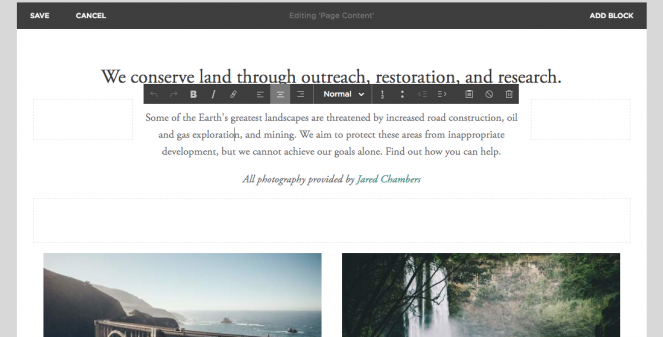 Squarespace is lot smoother and more advanced than when I last looked several years ago. It provides some marketing options & a developer mode for custom template design. The drag & drop menu is easier than Wix to setup and manage a website menu. You’re also able to flip through pages quickly in the editor window. I couldn’t locate a source of apps or extensions though, which is way behind WiX. I don’t like having all my eggs in the one basket, especially when the basket is owned by someone else I don’t know with no guarantee they’ll be around later on. Website building services own the code and the platform. You can’t much of this and it’s difficult or impossible to integrate some really great marketing tools that become available when you host your own website. When you look at the underlying code, there’s no HTML for the main text content and per everything I understand, search engines still read the underlying HTML and content is a major ranking factor. Here’s a summary of how search works by Matt Cutts ( former head of Google’s web spam team and now the director of engineering for United States Digital Service ). Most people find editors like Word easiest to use, where what you type looks similar to the final page as you type and assemble it. Too many panels and lack of room to see the entire page you’re working on is a big hindrance and WiX and Squarespace both do poorly in this area. The biggest reason that most people shouldn’t use Wix or Squarespace etc to create a website is that they’re not web designer. They are usually specialists in their own line of work and not familiar or at the cutting-edge of what’s working NOW on the internet. 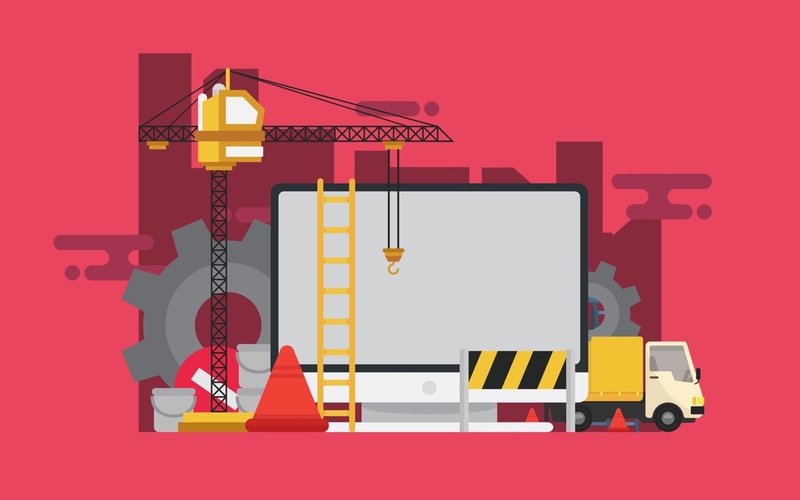 When you create a website using a DIY site builder, you’re probably not going to end up with the best product that gets you leads, builds your list and increases business and money. Here’s another good video. As a comparison … WiX VIP which is probably the one you’re going to need for a business is $294USD per year, and Squarespace is $300 per year for per year for the business plan, which you’re probably going to want. If you go the other route and build your site on WordPress host it with a good company, the hosting’s probably going to be about $200 per year and the initial design and development somewhere around $2500 to $5000. So initial costs will be more, but time is money and you’ll probably make more money using WordPress than website builders.